January 15: A laying of the wreath ceremony occurs at 2 p.m. at the MLK memorial at Marshall Park to commemorate the life and death of Dr. King. This year’s event features community leaders Glenn Thomas and Jibril Huff, along with Charlotte City Council member LaWana Mayfield. 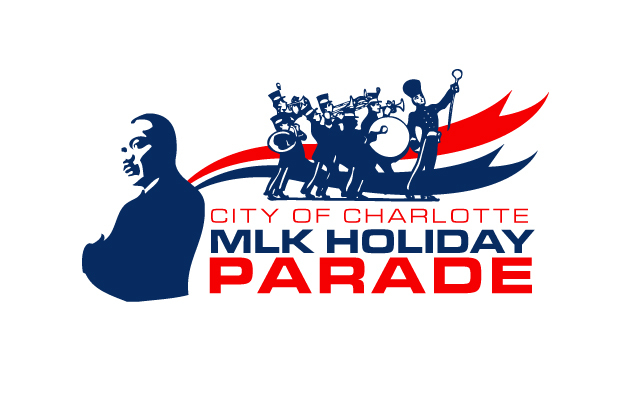 January 19: The annual City of Charlotte Martin Luther King Holiday Parade will take place on Tryon Street Uptown. The floats, bands, organizations, drill teams and more will start off at 9th and N. Tryon Streets at 11 a.m. and make their way down Tryon to Stonewall Street. The main stage is located at Levine Avenue of the Arts. This year’s parade will include a live broadcast. See the parade route here. January 20-21: Levine Museum of the New South is offering free entry. Check out the museum’s new exhibit Fighting for Democracy: Who is the “We” in “We, the People,” which opens that weekend. January 21: The annual Martin Luther King Jr. Prayer Breakfast established by the H.L. McCrorey Family YMCA takes place on January 21 at 8 a.m. at the Crown Ballroom with an anticipated attendance of 1,750. The keynote speaker is Chef Jeff Henderson. The breakfast will also highlight the MLK Spirit Award recipient, scholarship winners of the Charlotte Mecklenburg School’s MLK Art & Essay Writing contest and the City of Charlotte’s Martin Luther King Spirit Award recipient. Tickets are $45 each and funds raised will be used for the children and teen programs at the YMCA. Why attend: Celebrate, honor and reflect upon the efforts of Martin Luther King Jr. Also, most of the events are free!